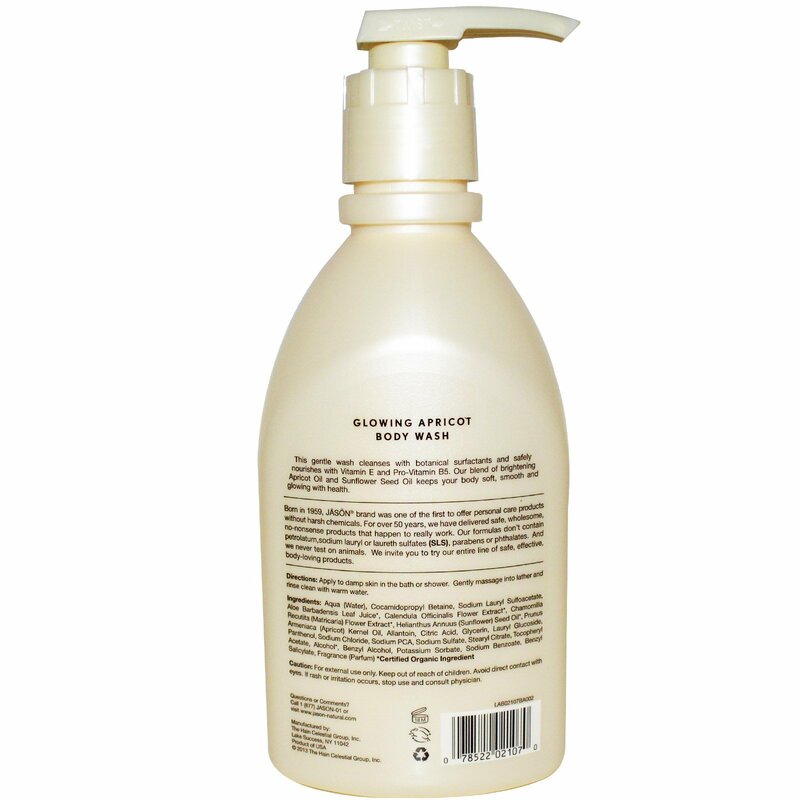 This gentle wash cleanses with botanical surfactants and safely nourishes with Vitamin E and Pro-Vitamin B5. Our blend of brightening Apricot Oil and Sunflower Seed Oil keeps your body soft, smooth and glowing with health. 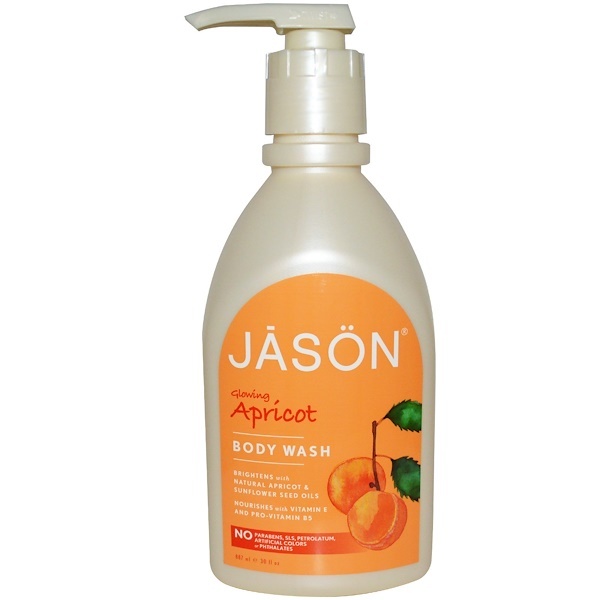 Born in 1959, Jason brand was one of the first to offer personal care products without harsh chemicals. For over 50 years, we have delivered safe, wholesome, no-nonsense products that happen to really work. Our formulas don't contain petrolatum, sodium lauryl or laureth sulfates (SLS), parabens or phthalates. And we never test on animals. We invite you to try our entire line of safe, effective, body-loving products. Aqua (water), cocamidopropyl betaine, sodium lauryl sulfoacetate, aloe barbadensis leaf juice*, calendula officinalis flower extract*, chamomilla recutita (matricaria) flower extract*, helianthus annuus (sunflower) seed oil*, prunus armeniaca (apricot) kernel oil, allantoin, citric acid, glycerin, lauryl glucoside, panthenol, sodium chloride, sodium PCA, sodium sulfate, stearyl citrate, tocopheryl acetate, alcohol*, benzyl alcohol, potassium sorbate, sodium benzoate, benzyl salicylate, fragrance (parfum).